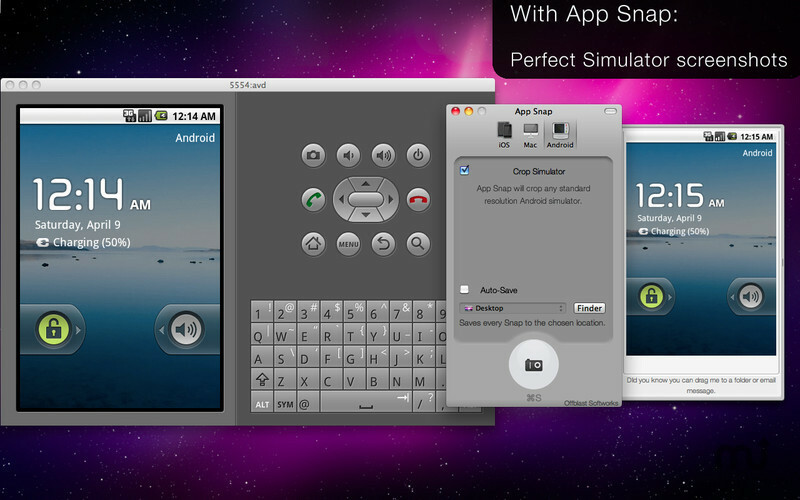 Borderless screenshots for Mac, iOS and Android developers. Is there a better alternative to App Snap? Is App Snap really the best app in Desktop category? Will App Snap work good on macOS 10.13.4? 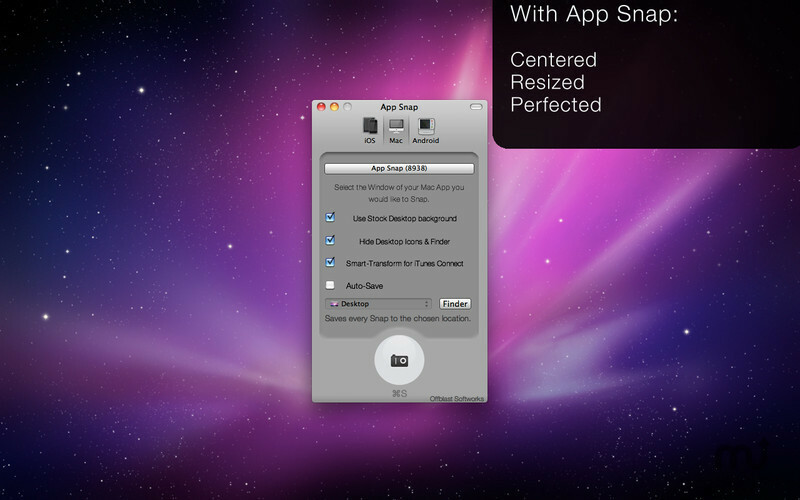 App Snapis the perfect companion to all developers who have gotten sick of grabbing, pasting, cropping, measuring, and adjusting their screenshots. 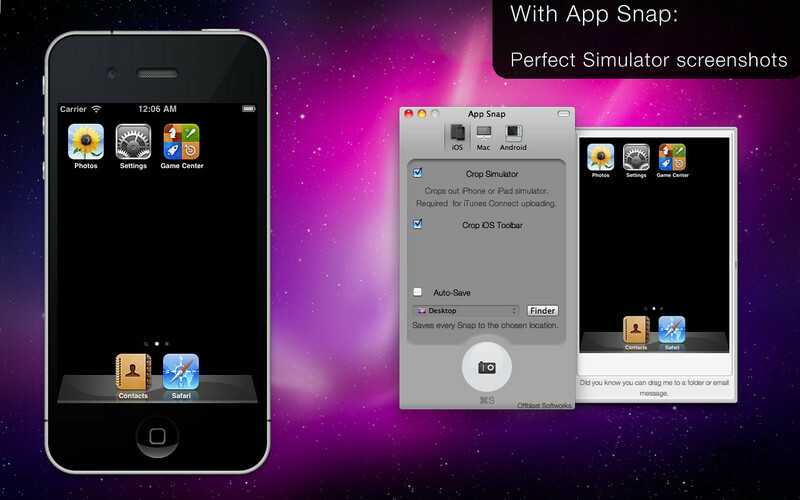 App Snap will take a perfect screenshot of the iOS Simulator, with the borders chopped out, at the correct resolutions for the App Store. 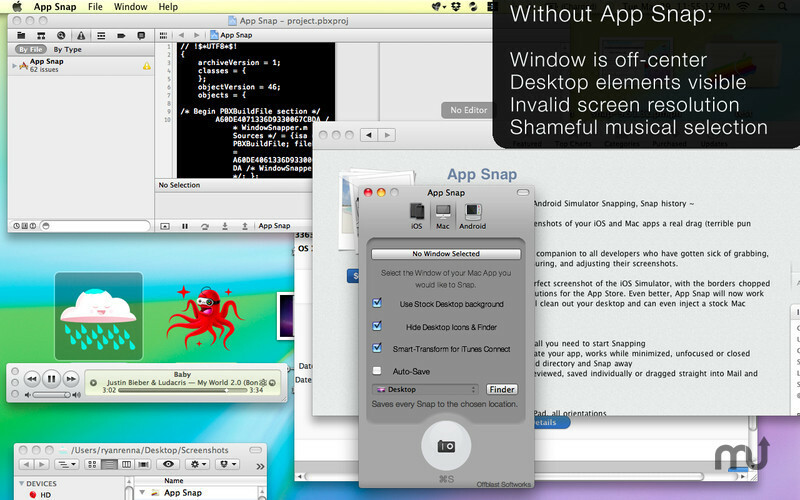 Even better, App Snap will now work with your Mac Apps, will clean out your desktop and can even inject a stock Mac desktop background. App Snap needs a rating. Be the first to rate this app and get the discussion started! All Snaps are saved in your Snap History. Snap it, forget it, deal with it later!